“When Mark is at Pine Tree Camp, we have no worries,” said Tammy Fournier. Her son Mark has been going to Pine Tree Camp since he was seven years old. He’s now 19 and loves going to camp as much as ever. 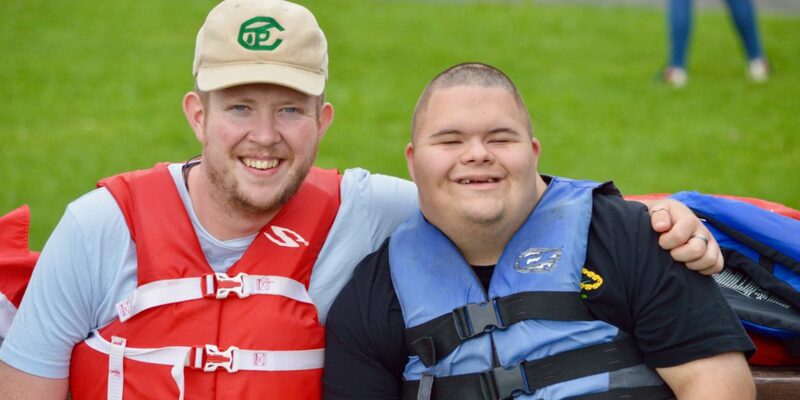 For Tammy and her husband Mark, the biggest gift Pine Tree Camp has given their family is that it has given their son the chance to see that he can be independent. When he comes back from camp he always does more things on his own at home without being asked or coached. For Tammy and Mark, their son’s week at camp also provides them with their only vacation of the year. Next year, Mark will start going to adult camp.